Whether it's the day you get married or an evening with your kids, lets turn your fleeting moments into priceless memories and create images with heart that you will treasure forever. I was so excited when this beautiful mama-to-be contacted me about a lifestyle maternity/newborn package. We met on a gorgeous evening in Buck Creek State Park in Springfield, Ohio. I love this location because there is such variety - field, woods, beach and the most gorgeous sunsets! Two year old Ella was a little fireball. We had so much fun playing with "fagetti." That's two year old speak for "confetti," my secret trick because who doesn't like to throw or blow glitter confetti?! This little girl didn't want to be too far away from her mama, which is totally fine because I got the privilege of capturing their intense bond. Miss Ella is going to be such a good big sister to her baby brother! And because she had some typical toddler moments, I got a little bit of extra time to document some special moments between mom and dad and loving on mom's cute little baby bump. Baby boy is so loved already, I can't wait to meet him soon and spend more time capturing this sweet family! Want to be the first to know about Exciting Updates + get access to exclusive discounts just for subscribers? Get exclusive discounts and be the first to know about upcoming specials. Plus, as a thank you, you will receive my "Seven tips to taking better photos of your family with ANY camera" guide for FREE! We respect your privacy and promise not to spam your account. Thank you! You will receive an email confirmation request shortly! 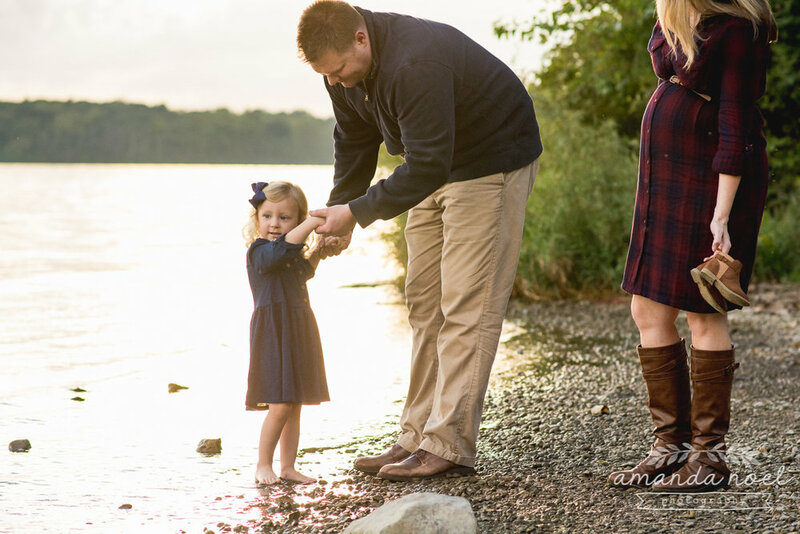 Amanda Noel Photography is a Columbus, Ohio lifestyle and documentary family and wedding photographer based in Springfield, OH in Clark County. Serving both the Columbus and Dayton, Ohio areas including cities of Springfield, Urbana, Beavercreek, Dayton, London, Hilliard, and Dublin, and is available for travel to Athens, Lancaster and Logan.